I’m not sure when I joined the Drinkward Peschon wines mailing list or what motivated me to do so. But I can tell you I’m glad that I did. 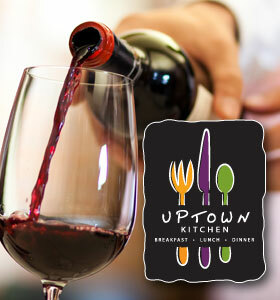 Drinkward Peschon, located in Napa Valley, is producing some great wines. I wrote to Lisa Drinkward and François Peschon, the powerful duo behind Drinkward Peschon Wines, to share my blog and to see if they had any comments they wanted to add to the piece. They were pleasantly surprised that I was reviewing their wine and sharing their story, and to my delight François graciously shared some additional details for this week’s piece. You will find her comments incorporated into the piece. 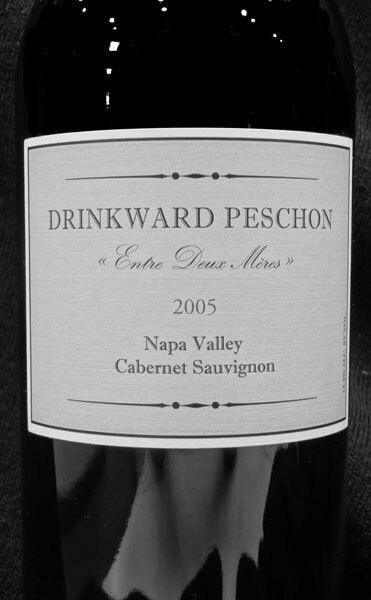 The 2005 Drinkward Peschon Cabernet Sauvignon was the first wine I bought as a member of the mailing list. 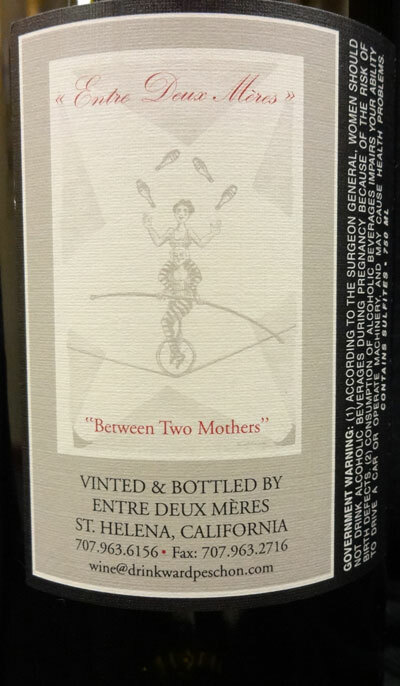 Called Entre Deux Mères, this translates from French as ‘between two mothers.’ This Cabernet is the only wine made at Drinkward Peschon and only in very small quantities. The first wine produced was the 2000 vintage. The story goes that Lisa Drinkward and François Peschon met through their children at ballet class. At that chance meeting, they bonded over their love for children, family and good drinkable wine. At the time, both women were already heavily involved in the wine business. Lisa Drinkward worked on the operation’s side of her family’s winery: Behen’s and Hitchcock. While François Peschon was the winemaker at Araujo Estate wines…a position she held until recently. “When Lisa and I started this project, it was indeed to make wines that were approachable upon release, food friendly and age-worthy,” François wrote. “I imagine most winemakers strive for the same, but with Lisa’s background in restaurants (she and her husband Les owned and operated a restaurant in Arcata) it was important that the wine be delicious early on. In Napa there is certainly an abundance of tannin, so it’s all about taming the beast! “The next goal was to get our families involved. Behrens Family Winery is such a laid back winery, it was easy for us to have the kids come along and get involved in the work. Naturally at the 5- to 8 year-old-age, they made more of a mess than anything, but they got to experience their parents having a really good time at work. How many jobs can you do that with? “We have been so fortunate with working with really good sites: Peter Heitz of Turnbull has been selling us fruit from the Calistoga Ranch, Blossom Creek for over a decade. The grapes from Calistoga have this beautiful, plush, flavorful component that is really the backbone of our blend. I won’t go all hippy dippy on you, but truly I believe karma plays a role. This project has been nothing but a joy for our friendship and that of our collective families. The spirit of generosity flows and we joke that there is a lot of laughter and love in every bottles. 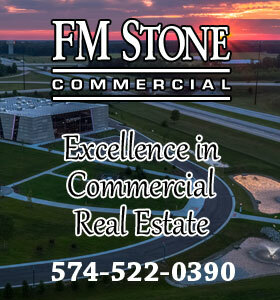 I hope that on your next visit you can make time to visit us up on the hill. We still have a few bottles of all of our vintages. It would be fun to do a vertical with you,” François wrote. It is noteworthy that during her tenure as winemaker, Araujo produced some highly rated wines, enough so that the French family of billionaire François Pinault, owner of the famous Chateau Le Tour in Bordeaux, acquired Araujo in 2013. The purchase price was undisclosed, but as the saying goes, it was “a pile of dough.” Rumors state that it was well north of $80 million dollars. By the way, I fully intend to take François up on her offer to meet on my next Napa trip! My research of the 2005 Cabernet didn’t reveal many wine ratings. 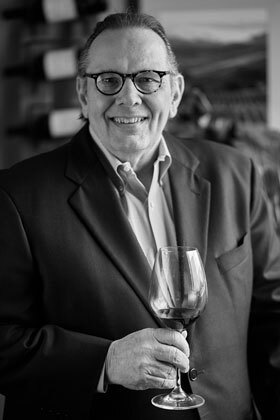 Wine-Search.com produced a number of tasting notes of individuals who have or are drinking the 2005 as well as other Drinkward Peschon vintages. One person wrote that the Drinkward Peschon wines had always been a sort of “insider’s wine.” I’m not sure what that means but it was intended to be on a positive note. There doesn’t seem to be a lot of wine to purchase. Wine-Search.com listed only one merchant who had the 2005 wine available at $75 per bottle. I checked the Drinkward Peschon website and its mailing list is closed; however they do have a waiting list you can sign up for. I whole-heartedly suggest that. I found this wine to be simply delicious. As is my normal practice with a wine such as this, I decanted it for an hour before pouring a glass. When decanting wine, I have gotten into the habit of always using a strainer. I believe that to be an especially good practice when wines are over 5 years of age. It was a good thing I did with this wine, as there was a fair amount of sediment in the bottle. I let the wine sit in the glass with the occasional swirl. After about 10 minutes in the glass, the wine opened with an intense nose with aromas of black fruit, licorice and mint that lingered in your nose long after you took the glass away. The wine color was deep purple and, on the palate, the wine offered firmness with black fruit, mocha and minerals. As you drank the wine, you could feel it coat your mouth. The finish offered some heat, a little spice, and was long and well balanced. This was an outstanding wine and very enjoyable to drink. Feel free to share my wine blog with your friends and family. Comments are always welcome below on this wine or any other topic. I went to their web site which is as minimalist as their wine making technique (thus all the sediment in your bottle!). Very impressive. Take an extra sip for me when you’re out there doing a decade of vertical with them! I hope all is well in the Michiana Metroplex. Wally told me that there was a positive development recently in your grandson’s treatment. That’s excellent news. Thanks for another good blog! Thanks for the article – and the added content from the winemakers. Love the story of the name. Hello Neil. Thanks for your comments and support of Tiedemann On Wines. Yes their production is very low but what a wonderful wine. I will pass along your interest.